ESI is the most effective EAP in the nation. We deliver better productivity results than any other EAP! Our Clients' satisfaction is our primary concern. 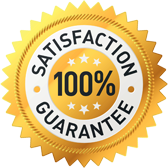 If at any point within the first 180 days following the effective contract date you are dissatisfied with the EAP for any reason, you may cancel the contract agreement and ESI group will refund all money paid up to that point, minus the specific dollar amount paid for network counseling services. Get a free quote for your Organization! In today's complex world, balancing work-life issues is more challenging than ever before. 1 in 5 employees will face a significant personal or professional problem that will disrupt their lives and their productivity. ESI's employee assistance programs deliver more benefits and almost three times the utilization of traditional EAPs. The result: twice as many employees resolve their problems that impair their lives and damage their productivity. who used the EAP and found that we were able to reduce lost time due to employee personal problems by 23%. Members also reported a 98% satisfaction rate! Usu in quas detracto, sea eu eius laudem iudicabit, quo velit feugiat mai orum at, vim ei semper ocurreret splendide. Mei ceteros volumus ri, atqui persequeris sed ea, stet elitr iuvaret nam ut. "The Summit Federal Credit Union has worked with ESI since 1984 and I am extremely impressed with the level of support, responsiveness, expertise and overall service provided to the credit union and to our employees. With their guidance and partnership, we have successfully implemented, or plan to implement, solutions that will continue to make a positive impact on our organizational culture. ESI is extremely easy for our employees to work with, too. The staff at ESI is caring and compassionate. They have always handled employee situations on a priority basis and in a highly confidential manner. I am very pleased to be working with ESI." "As the Director of Human Resources, I was looking for a comprehensive EAP program to meet our diverse needs. For more than two years now, ESI has exceeded our expectations by providing personalized and effective services. Our utilization is up over our previous EAP – largely due to the excellent educational programs offered through ESI. Our employees are extremely pleased by the wide range of services offered and feedback continues to be positive. All matters are handled in a capable and confidential manner. I consider ESI to be a true leader in Employee Assistance Programs."